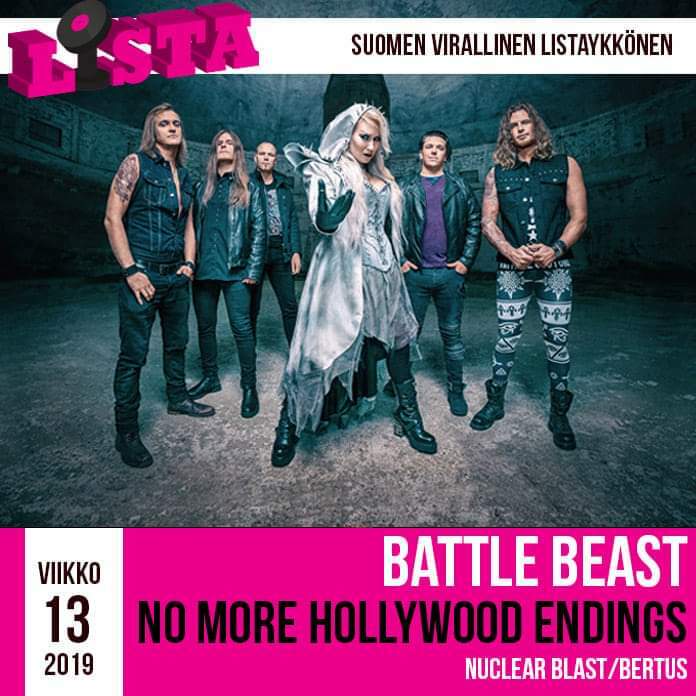 Battle Beast’s new album »No More Hollywood Endings« hits #1 in the Finnish album charts, both physical and digital! We are proud to announce that No More Hollywood Endings, the fifth album release by Battle Beast is number one in the Finnish album chart! No time to celebrate though, as their European Tour starts tonight in Bielefeld. Good luck guys!